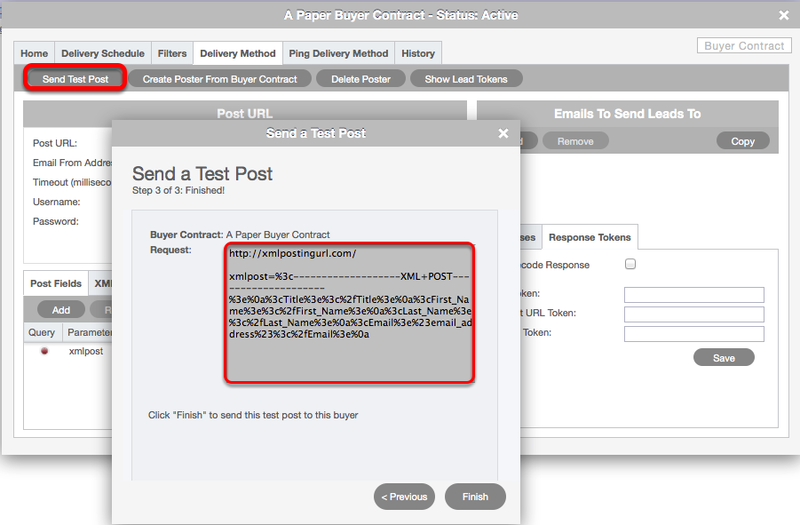 In some cases, your buyer may require that the lead is submitted as a POST as opposed to the methodology defined by the XML. 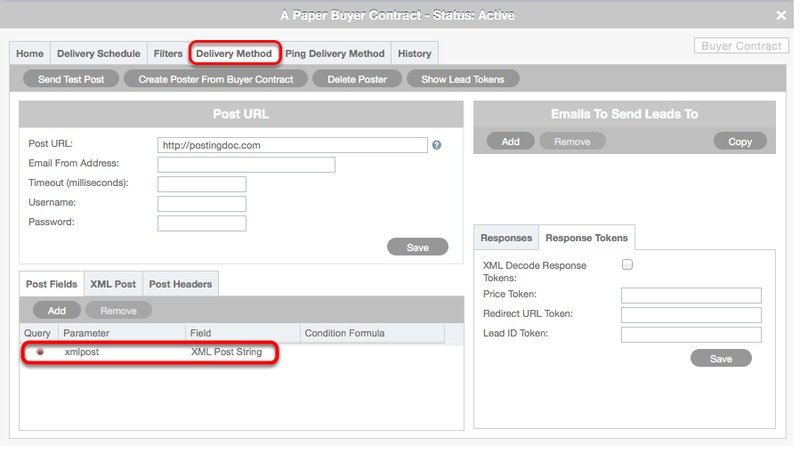 To accomplish this your buyer needs to define a parameter in which you can pass all of the lead fields. In my example above I have used "xmlpost". 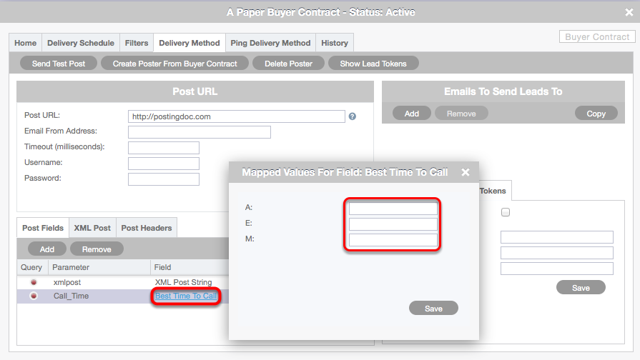 This parameter needs to be mapped to the field "XML Post String" as seen above. Now that the XML has been mapped to the POST, we can see all of the XML data in the POST string when using the "Send Test Post" feature. Notice that all of the fields and the associated values have been URL encoded for the POST. Often times, the value you receive on a lead does not match the exact values your buyer requires. I will use "Title" as my example. In this case, leads are being posted with the title of Miss, Mr., or Mrs. The buyer however, requires that these values be passed along as Ms, Mister or Misses. The list data type allows us to map the values as seen in the image above. To accommodate this via XML the token between the nodes will need to be modified. The default CAKE token of #title# will not be used in this case because CAKE will not be able to use the mapped fields in this case. Instead, the new parameter used in the Parameter column will need to be used. Simply add the hash/pound symbols to create the token. In my example, I have used "List_Field". Note that this is not buyer-specific. This is a value you can create on the fly. Lastly, to activate this feature head back to the Post Fields tab and enable the "Is Mapped XML Field" check box. To do this double click in the row and check the box. Ensure that the dot is green in the column. Leads - Updating a lead via "ckm_lead_id"